Even though Sony’s full frame A7 series has ruled the roost since 2013 for full frame mirrorless cameras, Canon belatedly entering the market in 2018 with its inaugural EOS R has caused a stir. As expected, specification is respectable for enthusiasts sizing this one up as a potential purchase, in that we get a 30.3 MP CMOS sensor, which is on a par with Canon’s own EOS 5D Mark IV DSLR. 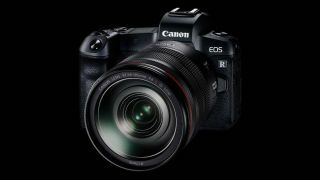 Below we run through more of the Canon EOS R’s most prominent features and give you our bite-sized overview of them. You’ll also find the best prices on this full frame sensor mirrorless camera, which seeks to entice custom from enthusiasts. It sits at the moment in the midst of a projected/imaginary future EOS R line up that also aims to introduce pro and entry level models at some point. For now though, our dedicated team are busy tracking the latest discounts from the world’s top retailers to enable you to find the lowest available prices for the Canon EOS R, as listed below. While inevitably a camera with the level of specification the EOS R offers is not inexpensive, it’s comparable with what’s out there already from the likes of Nikon and Sony. A major draw with the Canon is its implementation of Dual Pixel CMOS AF, as introduced on its DSLRs, yet here giving rise to a whopping 5,655 focus positions that covers 88% of the frame horizontally, plus 100% vertically. Yes, the EOS R doesn’t feature in-body image stabilisation, but this can be achieved with the attachment of newly introduced RF mount lenses, that have the desired ‘IS’ feature. Videographers will be pleased by the inclusion of 4K recording, albeit here up to 30fps and imposing a 1.7x crop, if you want 60fps that’s achievable via the Full HD option. Such features are wrapped up in a solid feel magnesium alloy camera body that, while not as compact as a Sony A7 series model, is broadly of similar dimensions to Nikon’s Z6 and Z7. There’s the option to add a BG-E22 Battery Grip too, which boasts a doubling up of shutter and control dial to allow for smoother shooting when the camera is held vertically; for example for portrait ratio shots. If you need speed you’ve come to the right place with this Canon: the inclusion of a Digic 8 processor means that the EOS R is responsive, managing up to 8fps in continuous shooting mode. Also well implemented is the camera’s LCD screen which features a touch and drag capability, meaning that a focus point can be selected by dragging a thumb across the screen in a similar fashion to alternatively using a joystick. For those who favor using the camera’s LCD, a further bonus is that it is fully articulated. This is something which aids it in standing out in the current full frame mirrorless camera market, and may come in handy if you’re also a keen videographer. Naturally In this being an enthusiast level camera there is the option to shoot in the traditional fashion too, with the camera held up to the eye. Thankfully the EOS R’s electronic viewfinder (EVF) is one of the best on the market in terms of being large, responsive and razor sharp.